So, you’ve got a side hustle and are ready to replace your day job. Or, maybe your entrepreneurial dream is ready to be launched. Maybe you've already launched a business, but it’s stuck. If any of those scenarios fit you, then it’s time for The Make It Real Challenge. 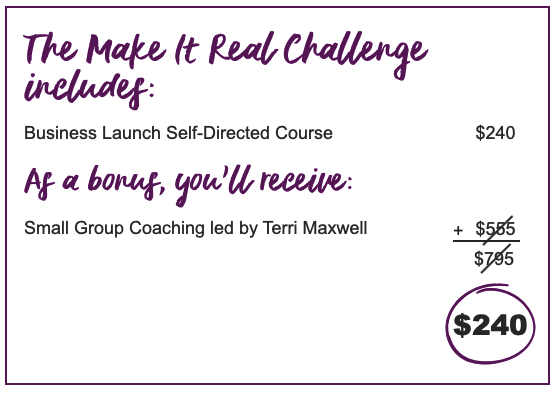 Step 3: Begin The Make It Real Challenge and build your dream business!